Industrial design wizards haven’t taken a stab at air conditioning units yet. 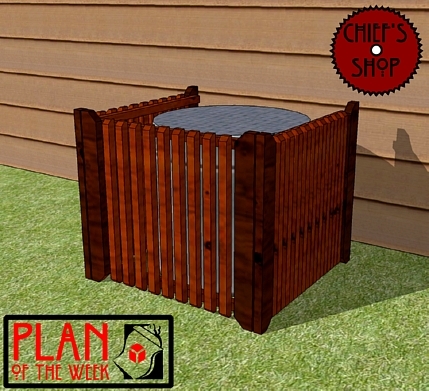 The Chief’s Shop Air Conditioner Screen is a good way to mask those unattractive chunks of metal we appreciate in the summer. Hinges at the corners allow the sides to open out, offering access to the unit if needed. Download the plan pdf by clicking here or on the image at left.